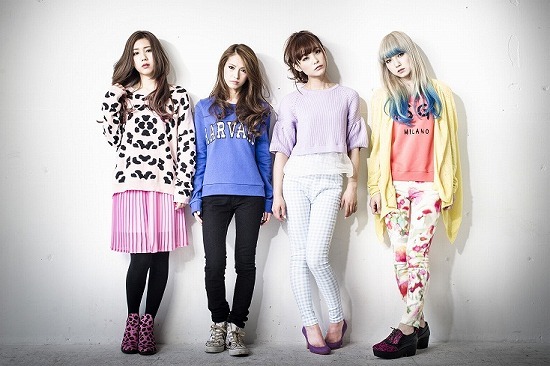 SCANDAL is a Japanese pop band. "The Most Powerful Japanese Girlie Pop Rock" is composed of four girls from Osaka, Japan: HARUNA, TOMOMI, MAMI and RINA. SCANDAL is very energetic, mostly due to the fact that HARUNA, the eldest and leader of the band, shares lead vocals with the other three members, in order to not have a focus on one girl in particular and to give each time in the limelight. They met as friends in a vocal/dance school, and joined to form a band, starting their career through street venues in Shiroten, Osaka, and later through participating in Japan-Nite: a nationwide American tour, along with international Japanese anime/cultural festivals in the United States, Paris and Hong Kong. They debuted on a major label with their 2008 single "DOLL".